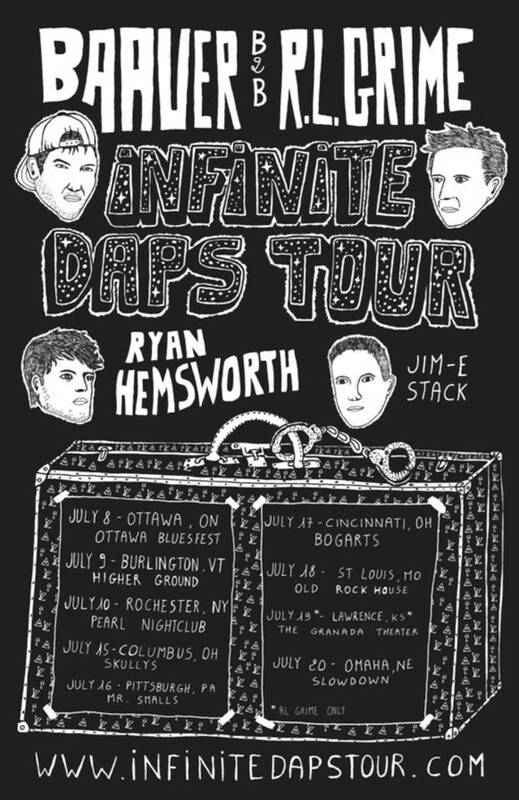 Baauer, RL Grime, and Ryan Hemsworth Announce "Infinite Daps Tour"
This July, Baauer, RL Grime, Ryan Hemsworth, and Jim-E Stack will be embarking on the Infinite Daps Tour, which will find this foursome hitting Canada, New York, Ohio, and other random spots. From the looks for the flyer, Baauer and RL Grime will be going back-to-back (check out their Boiler Room SXSW set to see what that&apos;ll be like), with Hemsworth and Stack supporting. Tickets go on sale May 10, but you can RSVP right now via infinitedapstour.com.